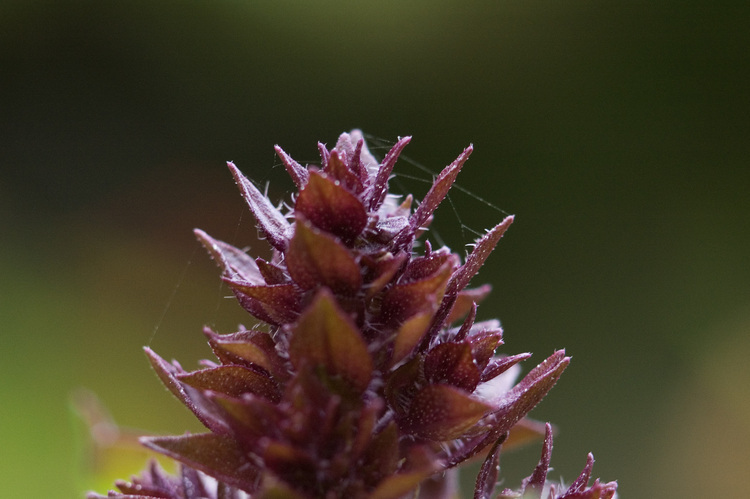 The top part of the flower of a Salvia of some kind (I think). To give a sense of scale, it's about half-an-inch across at the base of this image. Details: Nikon 105mm 1:2.8 macro, 52.5mm extension tube, ~f/8, 1/80s, ISO 400, curves.